Product design engineers, product development professionals, quality engineers. Advanced Product Quality Planning, or APQP for short creates a roadmap for developing new products complete with time-based milestones and decision points along the way. A major objective of APQP is to provide a vehicle for suppliers and with customers to work together when developing a new product. This helps assure that the product is delivered on time and with the highest added-value. New Product Introductions (NPIs) have a greater success rate when the principles of the APQP approach are followed. APQP has five formal phases. Each phase is connected to and triggers the next. APQP is not a “use what I like and ignore the rest” approach. It represents a continuum in which each phase builds upon the next. Some organizations precede the “official” five phases with a “Phase 0” that includes forming a team, defining the scope of the project, conducting an initial assessment of the projects’ feasibility and establishing documentation and communication protocols. The Overview of APQP training is ideal for managers and supervisors who oversee departments responsible for Advanced Product Quality Planning. This is a short online course intended to explain the basic approach and scope of the Advanced Product and Quality Planning (APQP) methodology. We also offer the Fundamentals of APQP that is designed for employees who are responsible for conducting or participating in the APQP process. Explain the purpose of the APQP process. Describe the five phases of the APQP process. List the steps necessary to prepare for an APQP. Mistake-Proofing or Error-Proofing or the equivalent understanding of the difference between fixing problems after they happen and preventing problems from happening in the first place such. Advanced SPC Training – Comprehensive training in how to implement statistical process control including setting up control charts and conducting process capability studies. FMEA Training – Complete online training in how to conduct Design and Process FMEAs and to reduce high Risk Priority Numbers, how to customize FMEAs for a specific business and how to maintain improved processes using a control plan. 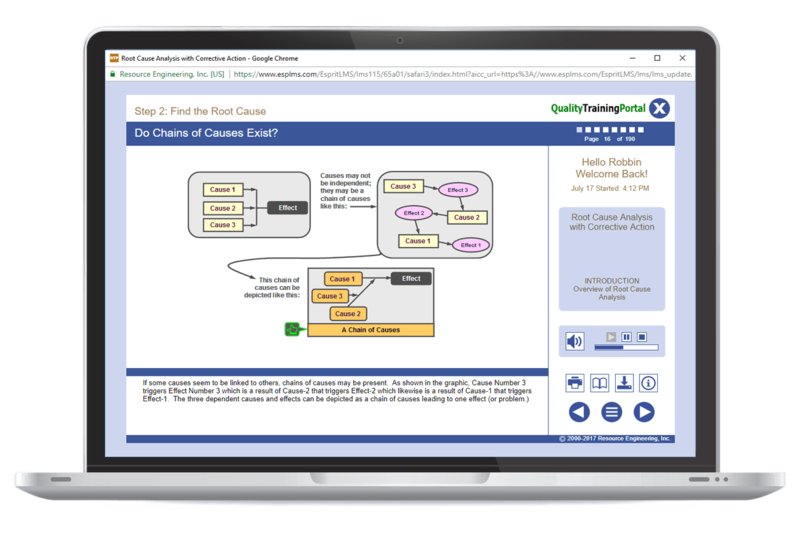 Fundamentals of APQP – A Master Course that helps learners understand the five phases of the APQP process and apply it to the development of new products and their corresponding processes. PPAP Training – A Targeted Training Course on the Production Part Approval Process. This course is a great way to learn the basic concepts and terminology of APQP. It is taken from our comprehensive Fundamentals of APQP course. If you have already taken the Fundamentals of APQP course, you have already seen the content covered in Overview of APQP. Overview of the five phases of the APQP Process. An assessment of the learner’s progress in this course. Easy reporting for ISO 9001 and IAFT 16949 records. Powerful learning management and administration. Media-rich presentation enhances the training. Exercises reinforce concepts and keep learners engaged. Printable PDF Reference Guide for future use. Solid technical content developed by experts. Learners progress through the training at their own pace. Bookmarking so learners can start and stop the training as time allows. Certificate of Completion that can be easily printed or saved. CEUs awarded to fulfill continuing education requirements. Exactly when you need it. An assessment of the learner's progress in this course.